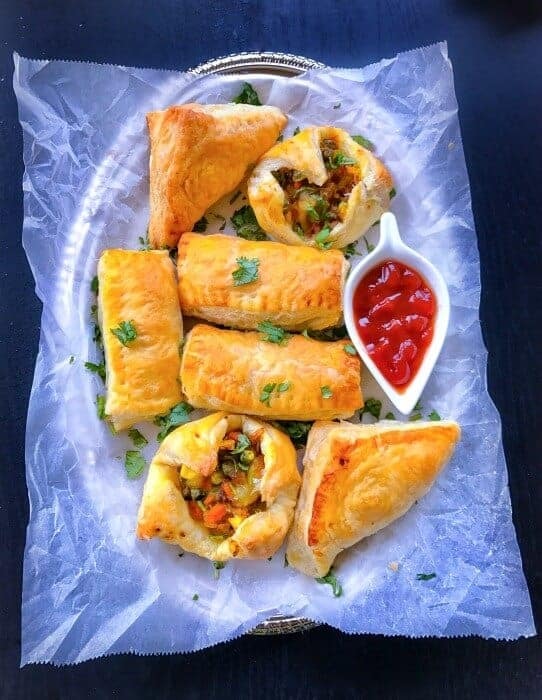 Quick Vegetable Puff Recipe (Indian Curry Puff) : crispy, buttery and flakey in every bite and stuffed with a delicious vegetable curry filling. They are quintessential for your festive or gameday parties. 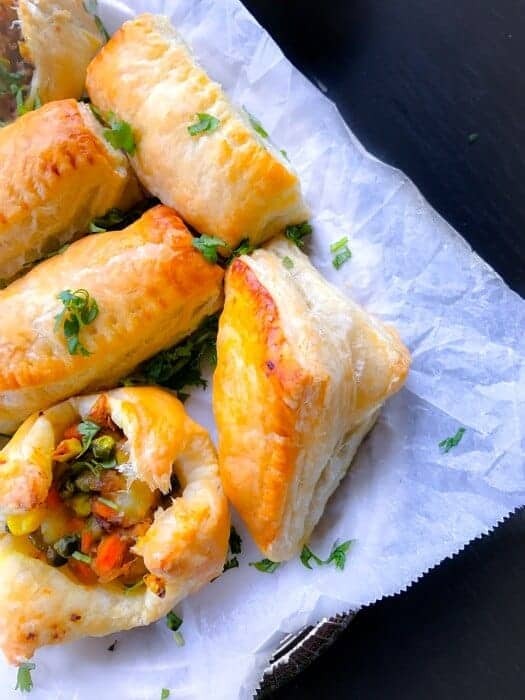 Made using Pepperidge Farm® Puff Pastry, they are ready in 30 minutes. 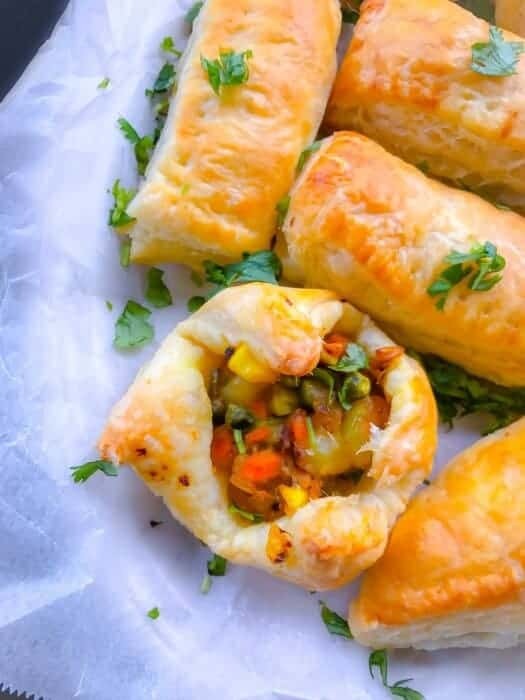 These Quick Vegetable Puff Recipe (Indian Curry Puff) are a MUST at our home especially in festivals or on a game day. I’ve been making them for ages with different filling but every time, there is one ingredient that’s never changed – “Puff Pastry Sheets”. 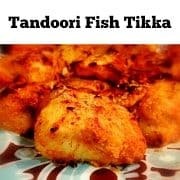 They are an absolute MUST for this flakey-crispy warm delectable bite and comes out looking perfect every time. 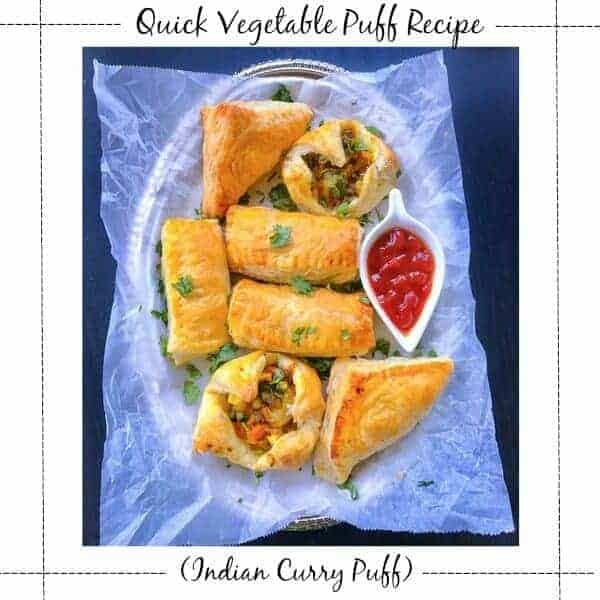 Infact, these Vegetable Puffs are a popular ‘street-snack’ in India and an absolute MUST in school/office cafeteria. In many Indian homes, it’s the perfect companion to a hot piping cup of tea/coffee and can easily munch on 2-3 of them at a sitting. 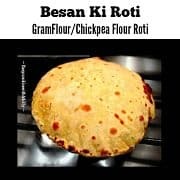 These ‘puffs’ are also famous for its crispy buttery layers which looks almost impossible to achieve while making them at home. 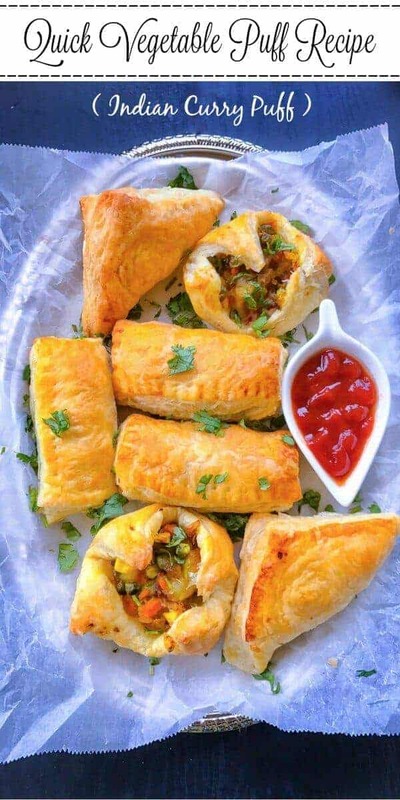 That’s why these ‘Puff Pastry Sheets’ are a must for these Quick Vegetable Puff Recipe (Indian Curry Puff) . 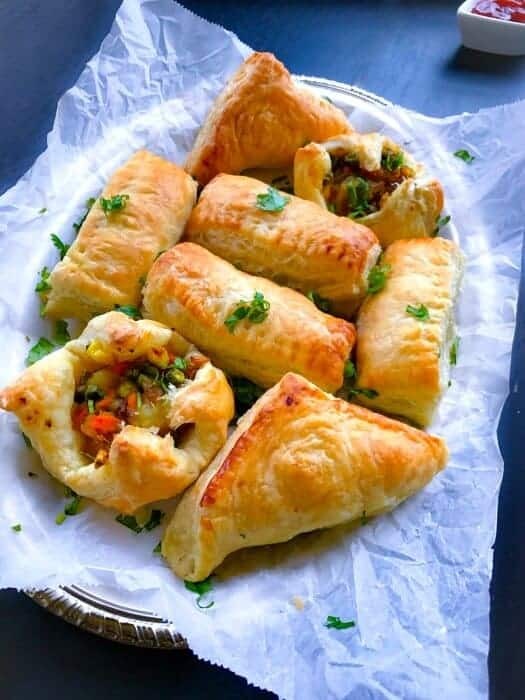 Once, you have the ‘Puff Pastry Sheets’, then all you need the mixed vegetable filling and you’re good to go. Just thaw and cut the sheets in desired size/shape, add the filling inside, wrap and bake. Serve them as soon as they are made for that extra crispy feel. I usually serve them with tomato ketchup or green chutney. Or make them for a fun gameday appetizer. Now add cumin powder, onions and saute till onions turn golden brown (takes 2-3 minutes). Add all the other vegetables except potatoes and saute for a minute. Cover the vegetables and let them cook for 7 minutes on low heat. (saute every 2 minutes). Finally add the boiled potatoes, all the remaining spices and saute everything together. 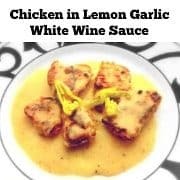 Cook this mix for 2 minutes on medium-low flame (saute every 1/2 minute). Turn off the heat and cool the mixture slightly. Preheat the oven at 410 Fahrenheit. In a small bowl, add milk, butter and mix together (keep aside). 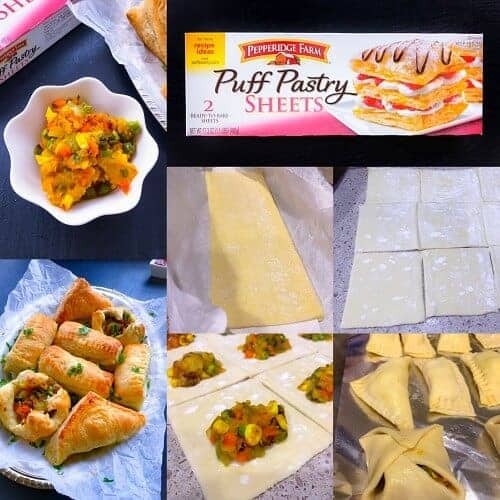 Take the thawed but cold Puff Pastry Sheets and cut them into squares (see tutorial pic). Add 1tbsp of filling in the center and fold the remaining side over it (I've created triangle, rectangle and open face). Brush each wrapped pastry with milk+butter mixture (you can use eggs too) and crimp the edges with a fork. (seal the pastry). Bake for 15 minutes (keep an eye as all oven are different). Server Hot with favorite ketchup or chutney. 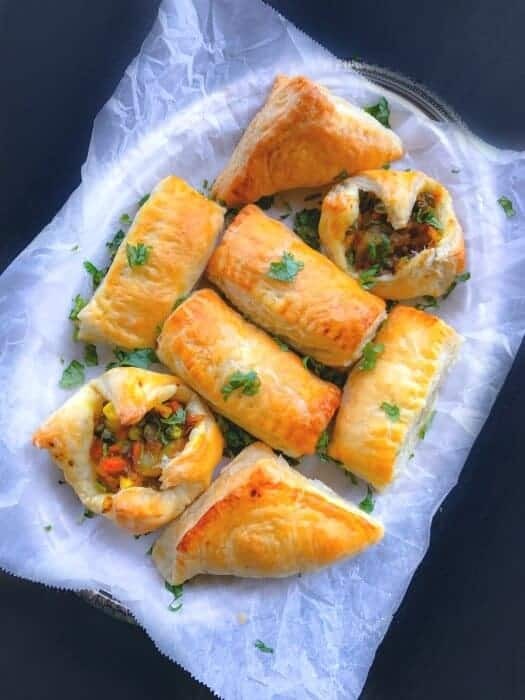 *** The Vegetable Puffs can be made 2-3 hours in advance and can be kept in the oven (turned off). *** The 'Filling' can be made 1-2 days in advance and kept in fridge in an air-tight box. 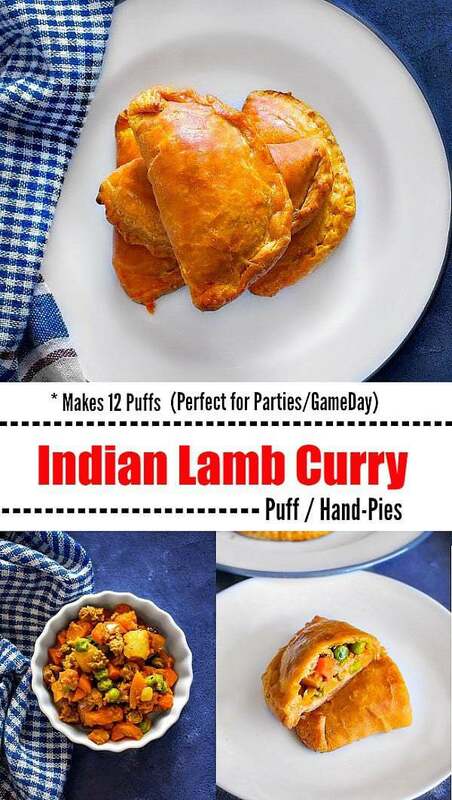 17 Replies to "Quick Vegetable Puff Recipe (Indian Curry Puff) #curry"
We have made this recipe so many times and turns out amazing every single time! Making it again for tomorrow’s game. I have dry ground coriander seed….can this be used instead of fresh coriander? 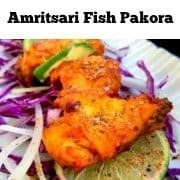 Can fresh cilantro be used instead of fresh coriander? Do you have to roll out the dough or do you use it as is? How big should the squares be? Hi Angela, you can roll out the dough a little but not much as you want it slightly thick (1/4 inch thick). I made about 9 puffs with each sheet, so you can cut it as per choice (big or small size). Molly, these veg puffs brought back memories of my childhood 🙂 So delicious!! Aweee – I’m glad you felt that way Naina. They definitely get us through a trip down the memory lane. I love all your recipes Molly but these beauties are really hitting home! Pinning for Seahawks sunday…what a treat! Thanks so much Kathi, glad you liked them and enjoy the game. I love all things curry. Paired with pastry… a total win-win! 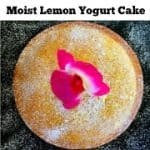 What a yummy idea! I’m going to make these for my lunch! Ohmygoodness these look delicious!! What a great idea!